Verizon Wireless today announced its financial results for the second quarter of the year and revenue has grown and income margins arrived at a record-high level. Also, Verizon now has grown by 4.9% on the year to 94.2 million subscribers, half of which use smartphones. The carrier revenue rose to $18.6 billion on a solid income margin of 30.8%. This is a 7.4% revenue growth over the second quarter of 2011. Overall, it’s all good news for the first US carrier to massively deploy a 4G LTE network - churn has declined to 0.84%, the lowest in four years. 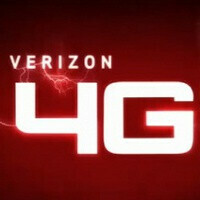 Verizon Wireless has previously said it will only offer 4G smartphones this year, and its network has definitely got the capacity and scale for that. Currently, Big Red covers 230 million people in 337 markets in the United States. you need to learn math Old plan: 700 Minutes + unlimited Text + 2 Smartphones = $160 New Plan: Unlimited Minutes+ Unlimited Text + 2 Smartphones = $150 this is assuming 4 GB data shared Vs. 2 Gb per phone on old plan. Since unlimted hasn't been available to new customers in about a year, it's not a valid part of the argument So, not only is a smartphone not $40 EXTRA, the new plan is $10 cheaper and it adds unlimited calls. You're assuming I don't have a family plan. Is it fair for my kid who is used to paying $10 to now pay $30 for the same phone? No, all Verizon is doing now is decentralizing the portion of money and spreading it out to the secondary lines. Is this family friendly? No, and unless you pay for your whole family plan then yes a $10 discount would be appreciated. Math does not work for me. 4 smart phones that have 4gb for each line = 16 gb total. Unlimited texts 1400 minutes talk We text and use web more than call anyone. Unlimited calling adds little for me. My bill goes up under the new plan. This is assuming that everyone has family plans, which is definitely not the case. I've been eyeing Verizon since last year and planning a switch, and these new shared data plans have me seriously reconsidering. Verizon's pricing before, with the lowest voice package, unlimited text and a moderate (2 GB or so) amount of data ran about $90 before taxes. Now it's $100. This is absolutely RIDICULOUS -- $100 per month for ONE smartphone?!? Their prices were high before, but now they are approaching highway robbery. These plans only benefit those that want numerous data devices on one plan, and/or those that need unlimited calling. In today's data driven world, where many people use the phone far less than before, these plans will end up costing them more. is there any wonder why Unlimited data is going the way of the dodo bird and cassette tapes? just look at those numbers. 230 million people? so at least 115 million people are using data, in small or large amounts. and I anticipate that eventually, across ALL carriers, smartphones will be the majority, and Data usage will be more expensive. simple economics, if you want to make money. I don't like it, but it's just the way it is. That's reaffirms that Verizon subscribers are 'Smart', hence, we need Smartphones. Is there any idea when the Verizon Galaxy Nexus will get 4.1 Jellybean? I don't care what anyone says the new plans on Verizon only benefit a handful of people. As far as 1/2 of Verizon customers using smartphones.....it's mainly because that is what Verizon is pushing for. With VoLTE being the future it makes sense that Verizon is pushing smartphones. Data is the future. Also look at new phones being released......how many recent feature phones have any type of wow factor to them? Uhhh none.... All the cool latest greatest phones are smartphones. So like a poster above mentiond that number of smartphone users will continue to grow. and this is why I'll be paying full price for phones from now on. I'm keeping my unlimited data. I like how Big Red's TV ad tries to make it so "great" that you can share data over several devices. over 4-5 forums that I frequent, I see a very small percentage of people that the share everything plan actually benefits. Though more and more people are using smartphones on national carriers, there is still a market for basic talk-n-text feature phones as well. I understand why Verizon would only want to offer 4G LTE smartphones, but they need to remember the needs off ALL their customers, not just the ones that bring in the most revenue. I know that doesn't sound like it makes sense, but you guys understand what I'm trying to say.